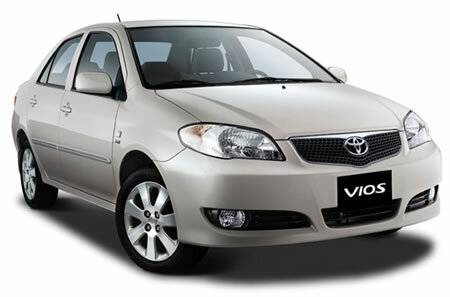 Pinoy problogger buys a Toyota Vios! Jumping across my favorite local blogs, I chanced upon fellow WP hacker Kates Gasis’ blog, one which I haven’t visited for several weeks now. One of his recent entries mentions Linkworth, a service better known for text link advertising and search engine marketing. Recently, Linkworth has released four new products to complement its core services: LinkPost, LinkInTxt, LinkArt & LinkDir, this according to Kates’ entry. These are 4 new ways to earn a little online. It might be little but it bought me a brand new car. Among local bloggers doing this professionally, perhaps Kates is the very first to buy a brand new car with his online earnings! He was quick to reply on my comment on the specific model: a Toyota Vios, easily more than half a million pesos. He’s now one of a few who publicly acknowledged buying a car through blogging, like yuga and irawan. So what’s next for the Filipino professional bloggers? Hi Markku, regarding my car that I bought I’m affraid that’s not 100% true, and must be corrected. That car was not from blogging earning, because I must admit that ‘I’m a new kids on the blog’ :). I started blogging (intensively) not so long ago (maybe 6 months ago) and I haven’t earnt much to buy a car. The earning was purely from my other site that had been established before. can anyone of you guys recommend a site or a book on which i can read about bloggging pls? i’m a newbie and i really want to familiarize myself with blogging so i can earn additional income for me and my family…. hope you can help me…. take care and god bless all of you….